Engagement in higher degree pursuit is a function of psychological constructs including core self-evaluations, academic motivation, work-life balance, and research skills proficiency. Core self-evaluations and academic motivation are precursors for student engagement in terms of effort expenditure, collaboration, institutional support-seeking, and relating with faculty. 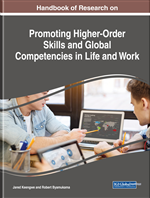 However, given that higher degree students are mainly working class, their work-life balance as well as research skills proficiency act as intervening variables to influence the relationship between the dispositional states and actual engagement of the students. Basing on empirical findings from various studies, the authors explicate in this critical review the (combined) mediation and moderation effects of the intervening variables on the links between academic motivation and core-self evaluations as predictors and the students' research engagement as a criterion variable. A conceptual model is theorized for the links between these concepts as a framework for research engagement and hence research completion among students. This section presents the understanding of the concepts of core self-evaluations, academic motivation, work-life balance, research skills proficiency, and students’ research engagement. The conceptualisation includes an understanding of the subconstructs. Occasionally, the linkages between the concepts are presented. Work-Life Balance: The extent to which an individual higher education student effectively manages multiple responsibilities at work, at home, and in other aspects of life. Research Engagement: The feeling of positive emotions toward research work; investing personal resources, energy, and time in doing research as a meaningful activity; considering the research workload to be manageable while taking advantage of collaborative, faculty, and institutional support; and having hope that the research work will attract better opportunities in future. Research Skills Proficiency: Skillfulness in the command of fundamentals of computer applications, academic writing, data collection and handling, and communication skills deriving from practice and familiarity. Academic Motivation: The sum total of the internal processes that prompt and keep students up to the tune of activities purposed to accomplish specific academic goals. Amotivation: When individuals do not experience contingencies between outcomes and their own actions, in which case feelings of incompetence and expectancies of uncontrollability are unavoidable. Core Self-Evaluations: One’s deep-seated, fundamental, inner cognitive ratings of oneself. Intrinsic Academic Motivation: The drive to do an activity for the pleasure of doing it. Extrinsic Academic Motivation: Engagement in behaviour or an activity as a means to an end, not just for the sake of the engagement.